I have a big announcement. It comes with pain, and also with the hope of new things and adventures to come. Our family has decided that we will be relocating to the Eastern Shore of Maryland (Queen Anne’s Co, Talbot & Caroline Co). At this time I do not have a moving date set in stone, but it does look like it will be the end of June/ beginning of July. Well….. for some it means I had the utmost pleasure photographing you and your family’s magic, and I wish you the best in life. 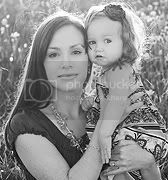 For some, it means we may meet halfway in Annapolis for fun sessions there, and I can continue to document your family. For the Eastern Shore folks…. it means Andrea Burns Photography is coming your way, and I Can’t Wait To Meet You. I would like to thank all of my clients thus far for believing in me and helping to build my business. If you were considering a session with me, I am currently booking studio sessions on the weekends, and location session on weeknights. And there are VERY FEW spots left. Ashleigh-Faye posted the following on May 24, 2011 at 7:06 am. Good Luck Andrea. You will rock it where ever you go. We are relocating also, Tampa to Boston! Again Good luck!!! Jill posted the following on May 24, 2011 at 7:17 am. Best of luck to you and your family as you venture out to see what God has in your future! Mercedes Barton posted the following on May 24, 2011 at 10:07 am. Good Luck! The Eastern Shore is lucky to have you! Stacey posted the following on May 24, 2011 at 12:58 pm. Good luck with your move – best of luck! Mayela posted the following on June 7, 2015 at 6:50 am. I don’t think so, but Andrea has a cute pink template but it’s for WordPress, not Blogspot. You shulod come on over here, even if you don’t homeschool!